Oh snap, oh sizzle. Kanga is pretty much ready to get all Uber up in this hizzy. Yeah, you heard us correctly…there’s a new kid in town, and he really wants to help you ship your stuff. No seriously, that’s the whole idea behind Kanga. So, instead of Uber, which transports people around town in sleek town cars and uses a nifty mobile app, Kanga will help you quickly and affordably get your stuff from point A to point B intown. What won’t they help you with? Not much, except for people, food, or dangerous materials (like nasty fondant on wedding cakes…what is THAT about!?). K-ga’s initial roll-out is starting right here in the crown jewel of the south, Atlanta. And, to keep it all local and whatevs, they wisely chose Tunefruit to license music for their kickoff video! 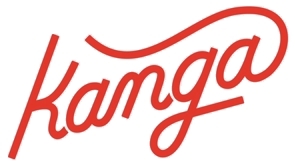 Want to learn more about Kanga? Sure you do. Tunefruit is Going Bananas: One of Ten Startups to Watch! Our Very Own (I capitalized for MASSIVE effect) weekly rag, Creative Loafing featured Tunefruit as one of 10 Startups to Watch in the Atlanta scene. You could replace Atlanta with Universe and you’d be more right. Sort of. Ok…maybe we’re becoming big in the Southeast. Jeesh, I don’t know, it’s so hard to figure these things out. Anyway…this article is cool, and details many other awesome new companies, too. But we are the only music licensing behemoth on there! Many thanks to the totally awesome and swell folks over at Strongbox West (@StrongboxWest ) for connecting us up with CL! The dudes and chicks of Dad’s Garage are at it again with the funny videos. This one in particular is sort of an instructional video of-sorts. They are moving from one fantastically indie-chic crib to another fantastically indie-chic crib, and they want to make sure you know how to get there…chegg it out. One of our favorite new clients is Dad’s Garage Theatre, a non-profit theatre that focuses on absolutely RI-DIC-U-LOUS and hilarious comedic improv. They have a talented stable of improvisors that like to make the funnies in front of audiences several days a week, and, with the advent of the interwebs, they have also extended their funny-ha-ha reach into the stratosphere with Dad’s Garage TV. And now, with the holidays fast approaching, they have put together the novel idea of custom video cards for Christmas and Chanukah. We think they are freakin’ awesome. Nice work, guys! For more info on Dad’s Garage, check out www.dadsgarage.com. Want a video card? Click here.